With the release of the Concussion movie there is a steeply growing concern about the safety of football athletes. Organizations across the country are learning new tackle methods and investing in safer equipment. But removing the helmet all together? As scary as the thought may be, a new study shows that it may reduce the risk of injury. The Helmetless Tackle Training (HUTT) uses behavior modification to reduce risk of injury. Early results from study published in the Journal of Athletic Training found that practicing without helmets could reduce impact in just one season. The study is based on a theory that removing the helmet from practice would help eliminate a player's false sense of security. Players tend to tackle harder with their head because they think they have the protection of the helmet. But the evidence shows that is not the case. 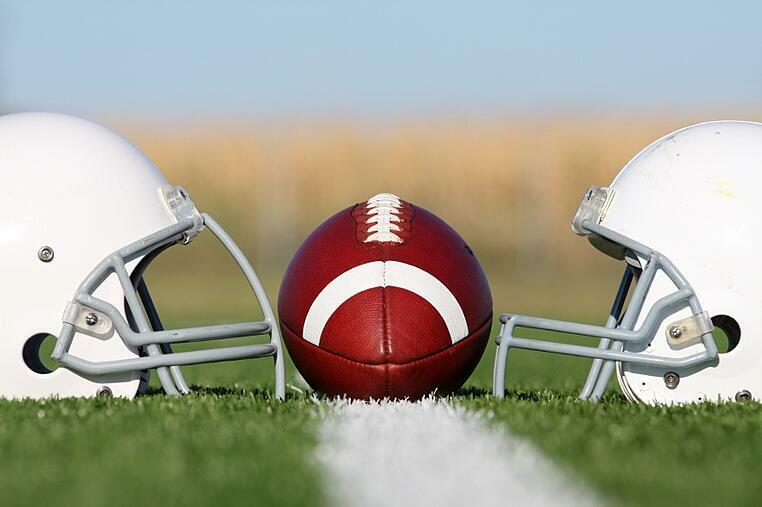 According to the study's lead scientist Erik Swartz, "The idea of taking off the football helmet during practice to reduce head impact may seem counter intuitive to the sport. But the findings show that preventing head impacts, which can contribute to spine and head injuries like concussions, may be found in behavior modification like these drills." 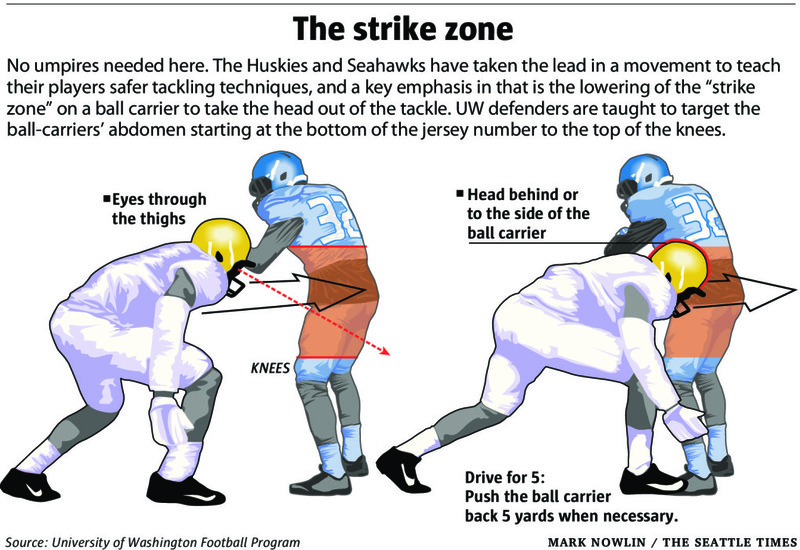 College and NFL football programs are starting to implement the rugby-inspired tackling techniques. Rugby is a sport that only uses a mouth guard for protection. University of Washington and Ohio State recently partnered up with the Seattle based rugby organization, Atavus, to teach their players safer rugby tackles. The fundamentals of the new tackling program are to remove the sense of security behind the helmet, encourage players to tackle with their shoulders, and watch the placement of their head. "Rugby strips it down to a point where you need to practice good tackling form and play smarter because of the lack of equipment. There are also more stringent laws in rugby that prevent unsafe methods of tackling," says long time rugby player and coach, Charlie Gallipoli. The shock of 13 head and spine injury related high school deaths this fall forced some schools to consider an out right removal of the sport, while others reconsider the fundamentals of tackling. Perhaps you are not ready for the helmet removal yet, but better safety practices are a must. How are you playing it safe? Share your advice with other coaches in the comments below.